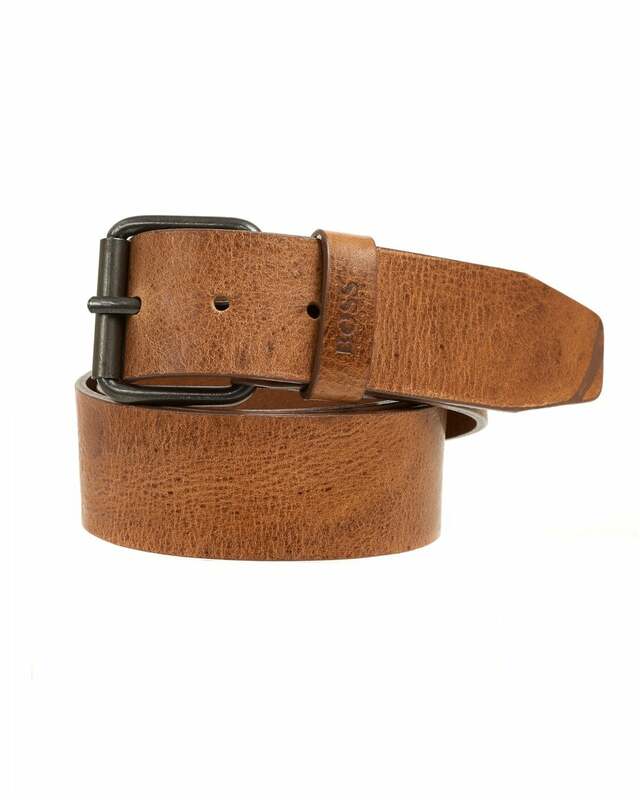 Add a touch of personality to your casual outfits with this BOSS belt. Crafted in full-grain leather, it will develop a patina over time and become a unique piece. Features a tan texture, branding on loop and roll pin buckle with a gunmetal finish.